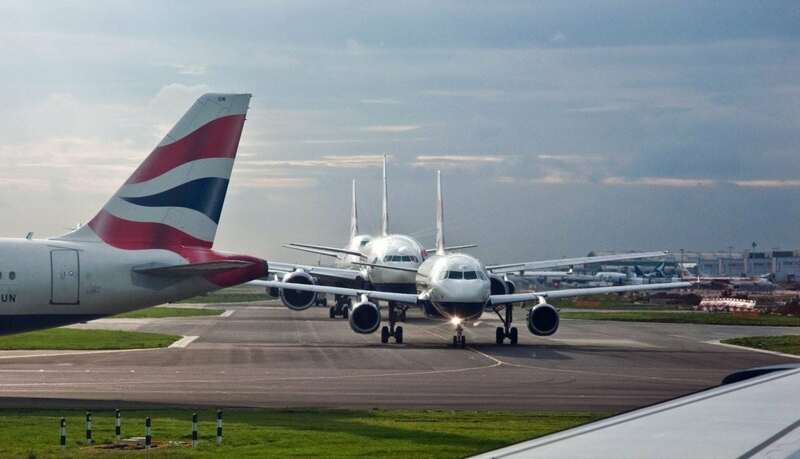 A man who flew a model aircraft near a runway at Heathrow Airport just three days after a scare at Gatwick grounded more than 1,000 flights has been fined £2,000. George Rusu, 38, said it was an accident and blamed a teacher at his local flying club for telling him he was allowed to fly the 1m-long Tundre aircraft in a park just 500 yards from the airport’s flight exclusion zone on Christmas Eve. The married plant operator and machine driver admitted to police he was aware of the Gatwick drone chaos when he was arrested in a park near his home in West Drayton, west London. Rusu, who has a five-year-old son, pleaded guilty to flying a small unmanned aircraft not in accordance with permission issued by the Civil Aviation Authority at Uxbridge Magistrates’ Court today (Tue). Deputy District Judge Robert Roscoe said his actions were “stupid to say the least” and blasted him for failing to “engage his brain”. He said: “I have some difficult understanding your mental process; in the few days before you committed this offence and your offence in the vicinity of Heathrow Airport, at the neighbouring Gatwick Airport, tens of thousands of people, their friends and their family, airlines, support staff at the airlines and very many people had their holidays ruined by something not connected with you, by a drone somebody else flew. “There was a huge cost both emotionally and financially to all those people at Gatwick and you knew by having the news bulletins, and you watch the news and read newspapers as I do, that police and security staff spend hundreds of man hours searching for the perpetrators at Gatwick. “Within two days of that, alert police officers in the vicinity of where you were flying your aircraft came to the park where you were there, flying the aircraft well within the zone that you shouldn’t have been flying it without permission and with you having not made any checks of where and when you can fly your plane. “Where you were is an area where plans occasionally fly across. They could have come back across, some unforeseen event could have happened. “It was stupid of you to say the very least. “You were insensitive to what was going on around you, you didn’t engage your brain to think about the consequences of what you were doing and even though I’m pleased to see that you were a member of a local model flying club, you did not think to speak to them or take any action to check that you were doing something which was not going to alarm or upset either other people, passengers travelling to and from Heathrow or the services that are responsible for the safety for flying at Heathrow. Rusu, who lives two minutes’ walk from the airport, spoke only to confirm his name, age, address and nationality while sat outside the dock in court wearing a blue jacket and had short brown hair in court. She said officers on foot patrol near the airport’s north perimeter spotted Rusu’s aircraft flying 20 to 30m above Leonardo Heathrow Hotel’s roof shortly before 3pm within a 1km exclusion zone from the airport’s outer fence. They followed the aircraft to a nearby park where they found and arrested Rusu after he admitted flying it with a radio-controlled remote control. He was questioned in police custody and she added: “He stated it was Tundre, he was unaware of the model number. He said it belongs to him, he bought it from a specialist website, it was worth £160. “He was adamant he had only flown the aircraft within the area of the park. After officers asked him if he was aware of the recent incident at Gatwick, the prosecutor said: “He said he had seen it on the news, he was aware of the disruption it caused. Aneeta Borwick, defending, said he was a member of Little Harlington Model Flying Club and added: “As you’ve heard from Mr Rusu’s interview, he does have an interest in flying model planes and has flown them since he says 2015. “He tells me he flew his model plane two to three times a month. “He says that he did not realise on this date that he had gone as far as he had. In fact he is not certain that he did. “He flew it in the usual way having been told by his teacher [at his local club] both those parks should be okay as far as flying that aircraft is concerned. “He says, ‘If I have accidentally done that then I’m very sorry’ and he does enter his guilty plea on that basis. “He had no intention to do anything of that nature, to cause any type of disruption or alarm to anybody, he says it was by accident. “He has never ever before had any issue of this type. “His wife was caused a lot of distress as well, he had a second model aircraft at home and she disposed of it immediately. Rusu, who was fined some five years ago for an unrelated offence, was fined £2,000 and ordered to pay £200 victim surcharge and £85 prosecution costs. Gatwick Airport fully reopened on December 21 after about 140,000 passengers were affected by three days of chaos caused by drone sightings. Court documents said the offence was contrary to articles 94(3)(b) and 265(b) of the Air Navigation Order 2016.